In my last blog, I talked about social media integration and why it is so important. If you haven’t read it yet, check it out and then come back. We’re about to get into the juicy stuff; What are the most impactful forms of social media integration today? Honestly, it all goes back to knowing your audience. For instance, the channels that we would integrate for marketing for a plumber would be far different than the ones used for a realtor. This is why understanding the complexity of modern marketing, and social media integration is so important and knowing which channels to integrate is either going to either make or break the marketing efforts entirely. So the real question here is what will be working for the majority of companies in 2018 and onward? We would recommend prioritizing the following with a critical tip first. Know your audience and where they hang out online; those channels should be your integration priorities. They say that a picture is worth 1000 words, we like to say a video is worth 1000 pictures. A video will continue to have a lot of value. Posting videos on your Youtube account and then integrating them into your website (as well as social media accounts) makes a powerful marketing tool. Let’s face it, nobody reads anymore. But they watch thousands of hours of videos every year. This also appeals to the younger generation’s desire for authenticity- It’s hard to fake it live. Content had its reign for the past several years, but now there is so much content produced, it seems that very little of it gets seen. Creating original, useful, well-thought content is still valuable; but it needs to be outside the box to cause any engagement. Old content and any new content created needs to be curated to appeal to voice search algorithms. Voice search is the entire future of search altogether, so it’s vital you’re paying attention to this. We feel that offering channel opportunities, means of communication and relationship building are going to continue to be on the rise. Adding things like live chat to your website, where customers can get immediate engagement with their inquiries is going to be a necessity. Offering countless opportunities for involvement will likely increase the chances of reaching any goals you may have. With this being said, those opportunities require management. Be ready to invest in bringing onboard a marketing partner OR an in-house person to manage your channels online. We hope that this has been helpful. If you have any questions about social media integration, we would love the opportunity to talk to you about it. Look out for upcoming posts about the business advice I was given and what being a Brand in 2018 means. Or check out some of our recent posts! 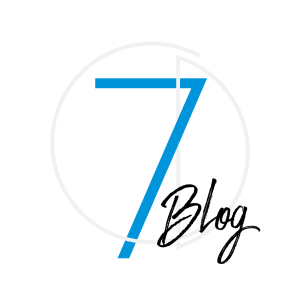 Jessica talks about her Content Development Process, and I tell the story of C7D’s beginnings.